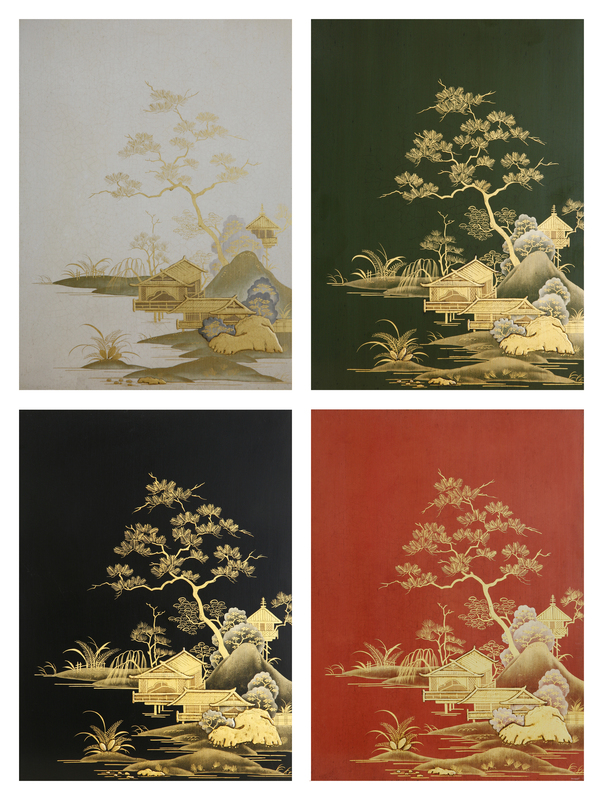 These small panels (12″ x 16″), each with the same landscape design, illustrate the different visual effect achieved when painted over various background colors. 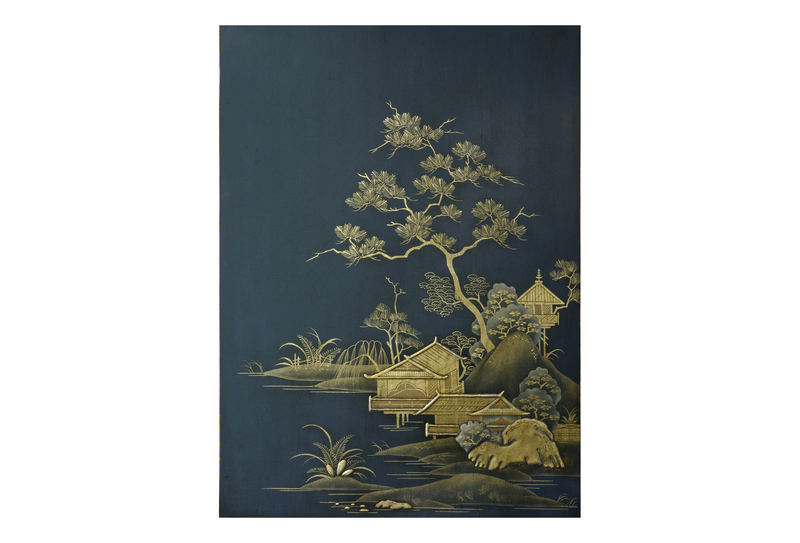 In Japanese lacquer, black is most commonly used, red less so; black and red are both seen in Chinese lacquer, as well as a range of deep browns. In Europe and America, the use of different lacquer materials allows for a greater range of colors. Alongside black and red, dark green and blue also appear, with white being the most rarely seen.